Building a brand on Snapchat can be counterintuitive; oftentimes going against everything you’ve learned about social media marketing. If you think you’re some sort of Social Media Guru; then brace yourself for some fresh info. On Snapchat, there are no inbound-outbound links to share. You don’t rank in terms of the number of likes you attract. You don’t even have a page in the first place! Forget about going viral on Snapchat- “viral” is a foreign concept. Because, if you create the most interesting content, post it on your Story where it’s supposed to last longest, it will disappear after 24 hours. Other content disappears in even less time of about 10 seconds. Yes, you’re at liberty to set the length of time you want that content to last if you send it directly to a friend. Think of this option as Twitter’s Direct Message equivalent…a short-lived one. For wider viewership, your only option is Snapchat Stories where your friends and followers have unlimited access to your posts for the entire 24-hour window. Oh wait, they can’t comment, like, reshare or discover the content through an algorithm or filter like hashtags. 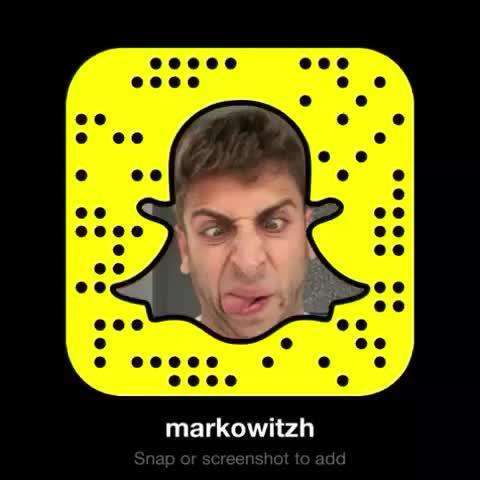 Snapchat is a complete exodus from what already works for your digital marketing. And it’s pretty powerful if you get the hang of it. That’s why I’ve decided to show you how to use Snapchat for business and take your brand to the next level. Snapchat marketing is a long term game. It’s not a place for instant gratification- it takes a while to see your marketing infrastructure take off on the platform. But if you start with the right strategy, every effort you put in eventually starts to yield an ROI. One of the best practices is to engage your followers by making them part of your story. Taco Bell is my #1 choice and for good reason. It reports that 90% of its followers who open a message it sends view it in entirety. The fun part is that these are often a long digital photo or video collages, up to five minutes long. Taco Bell is one of the most successful brands on Snapchat today. They didn’t get there quickly or by chance. This fast-food chain is one of the early adopters of Snapchat, according to AdWeek. Today, the brand boasts well over 200,000 followers. Its broad range of creative bite-sized content is the reason for their Snapchat fame. Snapchat provides Taco Bell with a highly relevant and targeted audience. The company strongly engages these friends and followers by offering them a part to play. 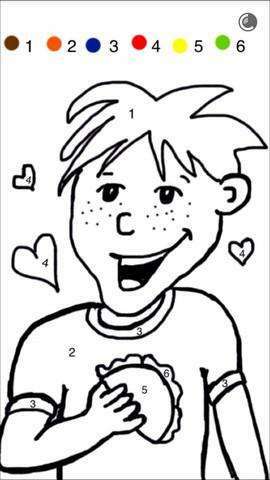 In this Snap, Taco Bell requests followers to color in the picture with Snapchat’s doodling tool. Once completed, they take a screenshot of the Snap, which may even be shared on other channels. Shaun McBride, aka Shonduras, has quite a rich history of community-building and digital marketing. He’s the next perfect example for audience engagement and inclusive Snapchat story strategy. This artist and entrepreneur, like Taco Bell, started off much earlier on Snapchat. He pioneered by working with brands such as Disney. One of his approaches involves letting his Snapchat followers participate in his proprietary Snapchat show. The guy is prolific. He also has other regular segments that include Free Stuff Fridays, and Seconds with Shonduras and Theme Songs with Strangers. I have a thing for Theme Songs with Strangers. 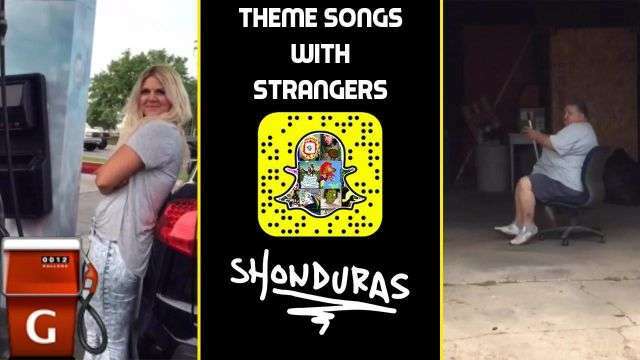 In this segment, Shonduras approaches random people at different settings such as the street and assign each a theme song. Some of these targets enjoy their theme songs that they break into a dance. So cool. As a friend or follower of this segment, you keep anticipating what the next theme song is going to be. The segment can hit a whole five minutes and you won’t even notice it. That’s how far you can go with a little creativity on Snapchat. The guy is always coming up with new ways to tell a story and never uploads any pre-recorded animations or videos. Hats off. If you watch these videos, you’ll see how easy it is to agree with Nicolai on his judgment of Kyle Coghlan’s Snapchat capabilities. Kyle Coghlan creates a series of still graphics/ snaps and arranges them in a way that moving from one to the next creates a sort of narrative. He involves you, the viewer, in the story making the process by asking you to tap your screen faster to make the story seamless. A single bunch of still photos tapped consistently one after the other creates a unique stop-motion video. Tailor Nicolai may applaud ProducerKCM as the most creative when it comes to stop-motion videos. Perhaps he too would change his mind when he meets Harris Markowitz. He came from Twitter and made Snapchat his most powerful medium. The Shorty Awards nominated him “Snapchatter of the Year”. His stop-motion videos are exceptional and feature stuffed animals and Post-it notes. He’ll make you laugh with his comic sketches and answer your questions on his Q&A sessions. If you can only pick half of this art and adopt a style that works for your target audiences, there’s no limit to how far you’d go. Tip 3: Don’t Throw Traffic from other Networks like Instagram, Vine out of the window Yet! Brands partnering with social media luminaries is an essential Snapchat strategy. They rely on these folks who already have an audience in order to quickly build their own following on the ephemeral app. One may wonder how these luminaries get to have so many followers on Snapchat which has no in-app discovery feature such as hashtags. 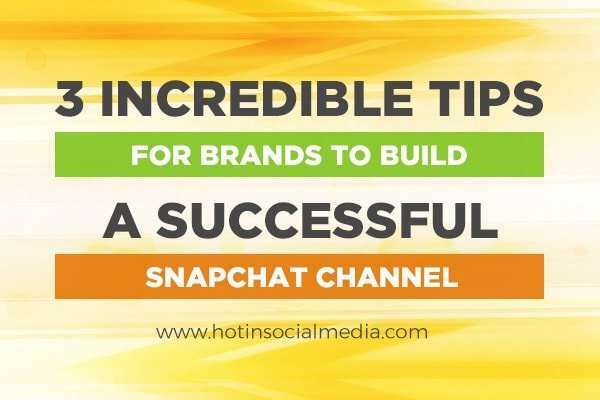 There actually are a few ways you can draw traffic from other social media channels into your Snapchat. Cody Johns, for instance, runs a number of Coca-Cola promotions. He commonly does cross promotion of the brand’s Snapchat account with his personal pages spread across the social media space. Cody Johns is a well-known Vine superstar and is equally successful on Instagram. He makes use of all these sources for the Snapchat accounts he runs. Those who have made it on Snapchat have shown that it’s possible. Give yourself a big head start by following their example of how to set up Snapchat for business. Pick one tip today and try it. The results will thank you!